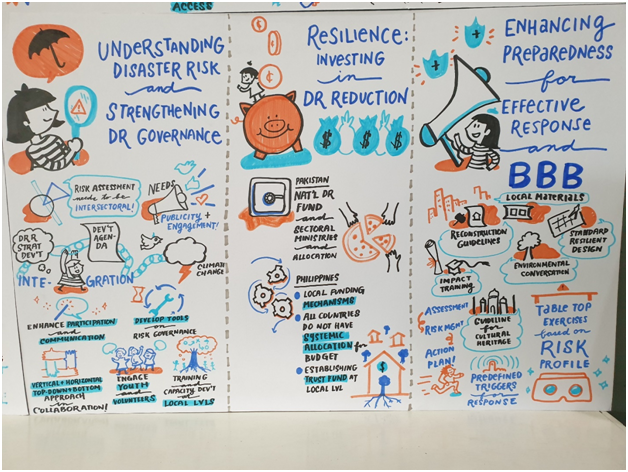 The Asia Pacific region needs to accelerate progress on increasing the number of national and local disaster risk reduction strategies, if they are to reach the first target of the Sendai Framework for Disaster Risk Reduction by 2020. 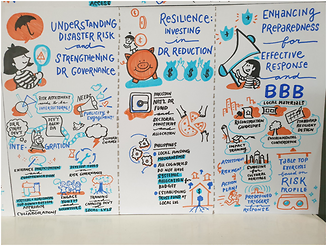 This was a key conclusion of a two-day workshop in Bangkok, Thailand, convened by the United Nations Office for Disaster Risk Reduction (UNISDR). 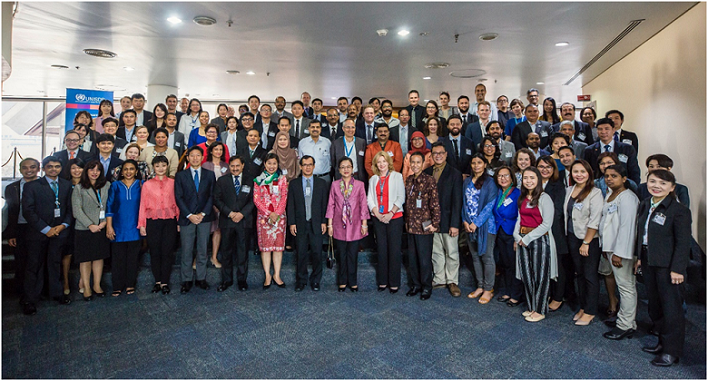 The meeting brought together more than 115 participants from 20 governments, intergovernmental organizations, UN country teams, stakeholder groups and international organizations to review progress to date on Target E of the Sendai Framework. Target E, which calls for a significant increase in the number of national and local disaster risk reduction (DRR) strategies by 2020, is the first milestone of the Sendai Framework, adopted in 2015. Natural Sciences unit of the UNESCO Almaty Office, represented by Dr Kristine Tovmasyan, participated in the workshop on behalf of UNCT Kazakhstan. An analysis carried out by UNISDR revealed that more than half of the countries in the region developed national strategies aligned with the Sendai Framework; however, implementation and financing of these strategies is lagging. Participants were unanimous in their call for more local DRR strategies and noted the insufficient capacity and financial resources at the sub-national and local levels. The workshop reiterated the importance of countries collecting and using disaster risk information to inform strategy development. Most of the risk information currently available to countries is informed by past disasters, whereas the disasters of the future could be of a different nature and intensity due to climate change. Throughout the region, an investment in disaster loss databases and capacity-strengthening is required to meet the data requirements of the future. A need to sensitize decision-makers, especially donors and development actors, to the value of investing in disaster risk reduction, was emphasized. It was also highlighted that opportunities for integrating DRR into sectoral strategies should also be actively pursued, while noting that coordination across sectors remained an institutional challenge. There was also a wide consensus that for resilience to prevail in the Asia Pacific region, the development and implementation of national and local DRR strategies must be fully aligned with the Paris Agreement on Climate Change and the Sustainable Development Goals.